Wedding season has ended in Bangladesh and it will soon begin in the U.S. so I’ve been thinking about wedding gifts. Decoration courtesy of wedding guest. 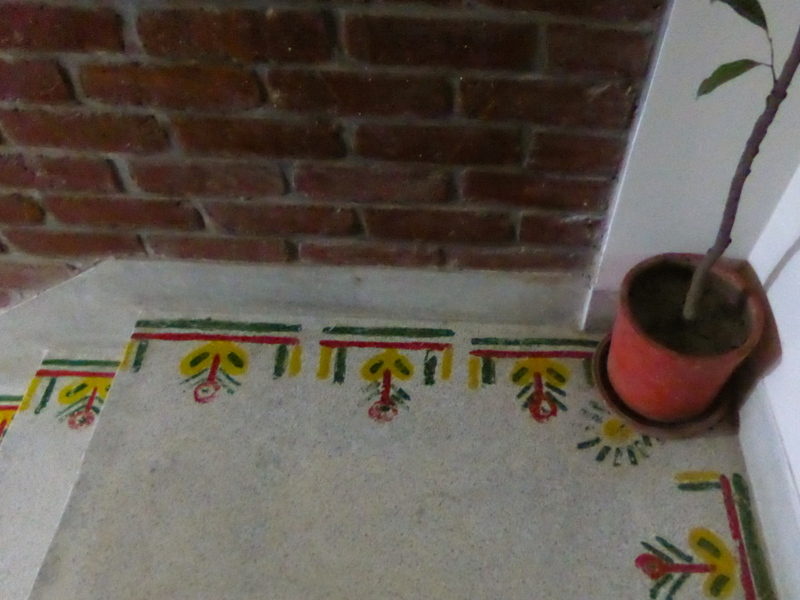 One day in Bangladesh, I was invited to a friend’s house and saw these painted stairs. They were painted as a wedding present. This colorful daily reminder reminds them of their friend, and their wedding, every day. This would probably not work in the U.S., but one could offer some other gift from the heart.